It has been nearly 50 years since New York’s jails erupted in protest, but the lessons of that era feel more relevant than ever. In early February, as a polar vortex blasted down from the North and temperatures hovered around 2 degrees Fahrenheit, nearly 1,600 men and women locked in Brooklyn’s Metropolitan Detention Center (MDC) pounded on the bars of their darkened windows to call the public’s attention to their utter lack of heat or electricity. Family members gathered outside, demanding help for their loved ones, while media outlets from The New York Times to CNN scrambled to understand what could possibly have led to such a dramatic scene. What emerged over the course of the next charged days was a picture of Dickensian cruelty and squalor: people forced to drink tap water that was alarmingly brown and cloudy; one man left to lie on sheets bloody from his untreated ulcerative colitis; another man, who’d been deprived of a nebulizer, lying on the floor of his cell gasping for breath—all while officials from the Bureau of Prisons lied to the public about just how bad the conditions were. What’s more, the people suffering this treatment were overwhelmingly black, brown, and poor, and they were forced to suffer it simply because they weren’t able to secure pretrial release. The treatment of those inside this federal facility was so ugly that even the judges who regularly sent defendants there to await trial spoke out. They were particularly troubled by the revelations that the people inside were being prevented from seeing lawyers. As Judge LaShann DeArcy Hall told The New York Times, “the wholesale denial” of their right to counsel was unacceptable and a clear violation of their constitutional rights. Yet, as disturbing as the conditions inside the MDC were revealed to be, few of the abuses should have startled us, just as we shouldn’t have been startled by the dramatic protest those abuses sparked. Nor should we have been surprised—or particularly comforted—by the sudden interest from the media or judges. Sadly, we have been here before. Nearly 50 years ago, in the summer and fall of 1970, dramatic protests rocked the entire New York City jail system—from Manhattan to Queens, Brooklyn, and Rikers Island. Back then, too, inhumane living conditions and the severe overcrowding that results from a deeply discriminatory bail system had created a serious human-rights crisis. Back then, too, those inside the prison cried for help, unfurling signs written on bedsheets that could have been written today: “All we want is to be treated like human beings. There are no medications for the sick. Unhealthy cells. 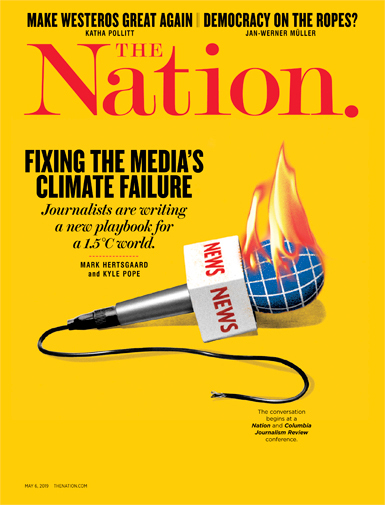 Unhealthy food.” And back then, too, journalists, politicians, and even judges rushed to the scene with expressions of outrage and promises of change. Half a century later, those events have largely been forgotten, scrubbed from the public memory by time, disinterest, and the national love affair with mass incarceration. But placed side by side with the MDC eruption, New York’s 1970 jail uprisings remind us that the conditions that recently spawned so much unrest are neither new nor aberrant. Nor are they limited to the menacing incarceration compound hovering over Brooklyn’s waterfront. They exist in local jails and federal penitentiaries, across time zones and time periods—and it is essential not merely to marvel when they arise but, instead, to finally address the conditions that lead to such eruptions. Until that moment, most New Yorkers had thought very little about what went on inside this building. Few had likely considered that those who were locked inside the hulking structure had not been found guilty of a crime and were there merely because they couldn’t afford bail. Few were aware that these same people were forced to endure deplorable living conditions and even abuse—in fact, the beating of a black detainee by three white guards had touched off the protest. And few would have known how these men had begged for help—even sending city officials a petition that minced no words regarding just how bad things were. This man, like virtually all the others crammed into this jail, was forced to live in such squalor because he hadn’t been able to afford bail as he awaited arraignment or trial. By August of 1970, a full 8,000 men had been sitting in New York’s various city jails for months without ever seeing a judge. One of them, Junius Avery, spent 37 months in the Tombs before learning that his case was being dismissed. He had spent this time in jail after being charged with burglary, and only because he had no way of meeting bail, which had been set at $5,000. If most New Yorkers had no clue about the horror that was the Tombs, Mayor John Lindsay could claim no such ignorance: He’d been made well aware of how abysmal the conditions were there, as well as how imposing a problem the cash-bail system was for so many in his city. One state senator, John Dunne, had toured nine city jails, as well as 22 county facilities and four upstate penitentiaries, just a year earlier, and had offered the mayor his findings: a scathing report on the conditions, alarming rates of suicide, and compromised constitutional rights that had come to define the city’s jails. And by at least December of 1969, Lindsay had been thoroughly briefed on the depth of this human-rights crisis. That month, he had received a follow-up visit from Dunne, who insisted that the city needed to act immediately on behalf of the thousands of people who were trapped in one of New York’s many jails. That the Tombs erupted less than a year later made it clear how little had been done despite Dunne’s efforts, as well as those of countless men and women who had experienced the city’s criminal-justice system firsthand. Even so, state and local officials failed to recognize the August 1970 uprising—in which men took their guards hostage and agreed to release them only after officials promised to remedy their conditions—as the wake-up call it was. There were a handful of exceptions, however. On August 13, 1970, as tensions still simmered, Dunne announced that he would hold a series of public hearings to make sure the issues plaguing the facility would not be swept under the rug. A lifelong Republican, Dunne could hardly be accused of being a “bleeding-heart liberal,” and his renewed efforts to bring attention to the abominable conditions of jails in the city and the state made headlines. To underscore the fact that such stories were important and needed follow-up, Dunne and his Committee on Crime and Corrections soon issued another major report titled, simply, “The Tombs’ Disturbance.” This 55-page document not only chided the state’s Commission on Corrections for “failing to utilize the powers it possessed to compel the city to correct the overcrowding and inhumane conditions in its institutions,” but also provided a list of 32 concrete proposals for bringing meaningful change to the system. 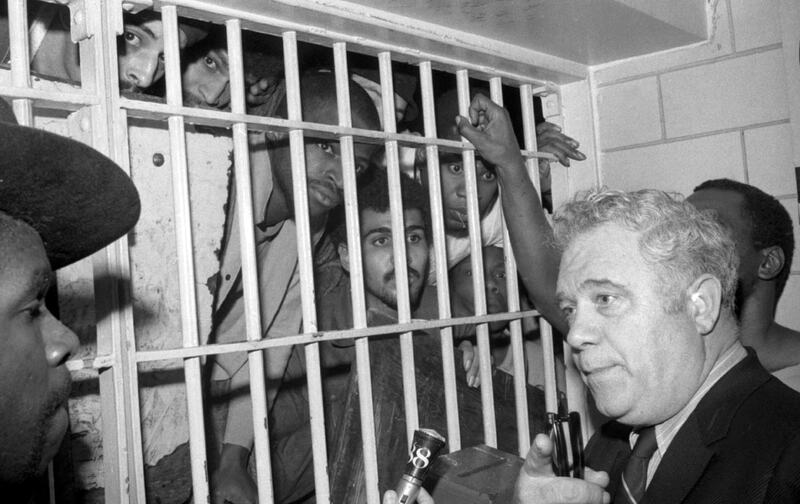 Martinez, a member of the Puerto Rican Young Lords Party, knew well that the conditions that black and brown New Yorkers experienced in jail closely mirrored those they endured in the nation as a whole. He and myriad other activists on the inside, including members of the Black Panther Party, were determined to overhaul both. In the service of this goal, they drafted a list of demands that they then handed to reporters descending on the facility. These ranged from the basic request that the city provide every person detained with towels, soap, and toothpaste to the more controversial demand that officials take legal action against those prison guards who, detainees claimed, had stolen from them. This time, the men inside the jail didn’t trust the mere promise of reform, and they demanded that officials from both the city and the state meet with them to discuss making immediate improvements. Two days later, in an extraordinary scene, discussions began in the courtyard of the Long Island City jail between a six-man negotiating committee from inside the prison and the various luminaries they had insisted come to meet with them, including Mayor Lindsay’s counsel, Congresswoman Shirley Chisholm, congressional candidate Herman Badillo, Minister Louis Farrakhan, and Department of Corrections Commissioner George McGrath. No sooner had the requested observers taken their seats at the table than the negotiating committee asked the city to arrange for some judges to come to the jail as well, so they could immediately begin addressing the scores of long-overdue cases that had kept it so crowded. The judges’ sudden departure was met with such outrage because, by that Saturday afternoon, the Long Island City facility wasn’t the only one that needed their attention. Just the day before, on October 2, the Tombs had erupted again, this time on the 11th floor. After taking hostages, these protesters expressed their solidarity with the men at the Long Island City jail and, like them, insisted on meeting with officials—in this case, Mayor Lindsay himself. By week’s end, more than 900 men at the Queens House of Detention in Kew Gardens, along with hundreds more at the dreaded Brooklyn House of Detention for Men and a group of young people on Rikers Island, had also launched their own protests against the inhumane conditions in the jail system. Among the many issues sparking discontent at the Kew Gardens facility was the fact that its 1,400 inhabitants had been jammed into a space designed for only 932. Also, as at every other city jail, the men at this facility had been waiting forever to see the inside of a courtroom. Haywood Boose had been imprisoned in D-3, an overcrowded cell on Tier 5 of Kew Gardens, for 197 days on a burglary charge and still had no idea when he would get a trial date. George Colcloughley had been held in the jail since June of 1969. After a full year of imprisonment, Colcloughley begged a judge either to try him or let him go. Three months later, Colcloughley was still there. Similar injustices prompted the men in the Brooklyn House of Detention to rise up. They had just heard about the bond hearings taking place at the Long Island City jail, and they wanted their cases addressed as well. The Brooklyn House of Detention had been designed to hold only 960 men, yet by October 4, 1970, there were 1,591 locked inside—in fact, of all the city’s jails, this one was the most overcrowded. By 4 pm that day, the facility, located in a predominantly Puerto Rican neighborhood, was surrounded by some 3,000 onlookers as the men inside smashed windows and flung moldy bedding, as well as dead rodents and roaches, to the pavement. These same onlookers, many of whom were family members of those inside, soon found themselves tangling with the throngs of policemen who had been ordered to surround the jail and keep anyone from entering or leaving it. According to news reports, “rocks and bottles were hurled at passing police cars,” after which police pushed “the crowd back along Atlantic Avenue” and made several arrests. Given that these officers were fully armed, and that “some shots were fired by police at persons throwing objects from roofs,” it seemed entirely likely that the day would end in a bloodbath. Twelve hours later, things did indeed end violently after police officers stormed the building. In this retaking, as well as the one playing out simultaneously in Kew Gardens, more than 200 detainees were injured. Later, the city would indict 28 men on various riot-related charges, with nine of them facing 35 years in prison. And rather than acknowledge that some 4,000 detainees had risked everything to draw attention to the horrific conditions in the jail system, the city would simply send scores of them to upstate prisons like Attica—far from their family and friends—thus punting on the overcrowding crisis. The need to continue such reforms, however, was soon forgotten, as New York, and the nation as a whole, chose to double down on the War on Crime that President Lyndon Johnson had launched in the wake of the urban uprisings of 1964. As the city then embraced the new War on Drugs that its governor, Nelson Rockefeller, initiated in the wake of the 1971 Attica uprising, jails grew even more crowded and brutal. The drug war, which intensified as the 1980s and ’90s wore on, meant that by the dawn of the new millennium, more New Yorkers had found themselves locked in a city jail than at any other time in Gotham’s history—and, though it is hard to fathom, conditions in those facilities had only gotten worse. One need look no farther than the story of Kalief Browder—who was forced, beginning at age 16, to spend three years in Rikers for allegedly stealing a backpack—to grasp the devastating contours of the crisis in New York’s jails. And so, once again, just a month into 2019, a jail in New York City erupted in rebellion. Once again, family members crowded outside the jail, hoping to see the faces of their loved ones. And, once again, pressure from the media finally compelled judges to leave the comfort of their courtrooms and go see the conditions that await those they remand, in such record numbers, to detention rather than allowing them to stay at home and await trial. But as history shows us, declarations such as these—even when prompted by honest surprise and genuine sympathy—are no longer enough. For decades, the people locked in America’s jails have been treated with a callous disregard for their basic needs and fundamental rights. Now, as before, they are being held there only because they are poor. And now, as always, these same people are standing together to insist that they be treated as human beings. Heather Ann ThompsonHeather Ann Thompson is the Pulitzer Prize–winning author of Blood in the Water: The Attica Uprising of 1971 and its Legacy. A historian at the University of Michigan, she is currently writing a book on the MOVE bombing of 1985 for Pantheon Books.